Every year, as a Body, we join together and pool resources to participate in an amazing event called "Operation Christmas Child". This great organization has been shipping shoe boxes all over the world to provide gifts to young people of all nations and all creeds during the holiday season. It is a great task they have undertaken and for us a blessing to participate. 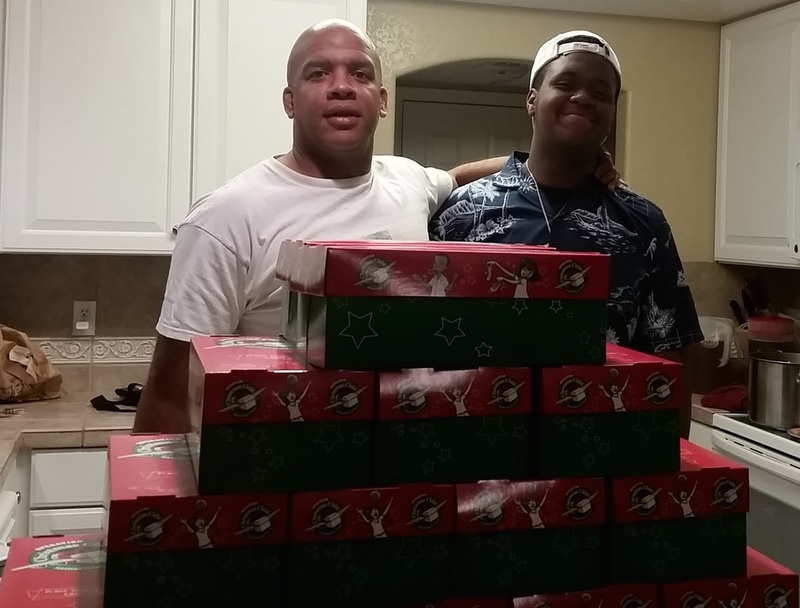 This year, Immersion Ministries was blessed to donate 20 boxes to Operation Christmas Child! The boxes were delivered to several different countries this year, including several in South America and Eastern Europe. Send an Outreach Pack to a Christian living in a hostile or restricted nation so they can use it to share Christ's love. Outreach Packs contain practical items like socks, shirts, blankets, bedding and toiletries. VOM readers have long sent Action Packs as a blessing to persecuted Christians, and now persecuted Christians want to have something similar to help them share the love of Christ with their "enemies." These packs have been delivered to Christians in Syria and Iraq who then gave them to Muslim refugees. Many have been touched by this tangible expression of love from Christians. When the packs are distributed, VOM workers make sure each person also receives a Bible, New Testament or Gospel story book. You can become a part of this unique ministry by sponsoring the Outreach Packs that persecuted Christians will distribute to their neighbors. THE BODY OF CHRIST WORKING TOGETHER! It is our desire to partner with others whose hearts are also in Honduras. "Summit in Honduras" (at St. John's Episcopal Church) in Breckenridge CO, have been fundraising for the people in this impoverished nation. The money raised with the help of this church will help establish wells in the area for clean drinking water in the northern departments of Copan and Santa Barbara, Honduras. We are constantly praying that the Lord will show us ways that we can make a difference to the people of San Pedro Sula and the surrounding areas of Honduras. Although a small team traveled to Honduras, it took the entire Body of Christ to send them in strength. It has been a blessing for us to bless those who need it most.